December is already here. That means, there will be more colder days and more reasons to shop clothing for layering. Keeping warm is very important. However, being fashionable while staying warm is of the same importance — for some women that is. Thus, as we approach December, we are giving you the essentials for layering that you can use. December is fashion month, just like all the other months of the year. Skinny jeans is a staple for the season. The best colors for the skinny jeans are those that can be paired with anything — something neutral or in the shades of black, white, and/or gray. You can wear it also with any kind of footwear — like flats, sandals, boots, sneakers, etc. You may want to check out Buckle for ideas and styles and for branded skinny jeans. Long sleeve t-shirt, especially plain-colored ones and thin ones, are very easy to style. Thus it is not only a layering piece during winter season but also a staple any time of year. Celebrities like Beyoncé loves to wear long-sleeve t-shirt and High School Musical star Vanessa Hudgens never leaves her long-sleeve t-shirt behind when having a Bohemian inspired outfit. For brands like Rachel Zoe, Eight Sixty, Skies Are Blue, d.RA, and others, check out Piperlime. 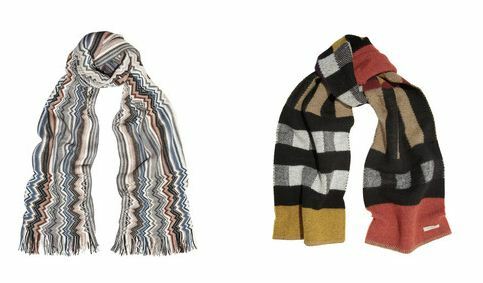 Printed scarves will also work in two ways: keeps you fashionable and keeps you warm. For printed scarf design by designers such as Diane Von Furstenberg, Missoni, and Burberry, visit Net-a-Porter!